Customer experience is today’s hottest business topic and digital transformation is a large component of creating a great one. Today’s customers want relevant and contextual information, available instantly, via any channel they choose. And if your organization, or even your industry, is not yet providing this, someone else will enter your space and steal your customers (hands up who has bought insurance from their bank). To sum it up – if your organization is not focused on customer journey mapping and cultivating ‘moments of truth’, it’s probably not going to be around in the next 5 years. In addition to being driven (hard) by customer expectations, digital transformation is also being driven (fast) by technology. Not only are digital technologies transforming how a business interacts externally with its customers, but internal processes and priorities are changing too. According to Forrester, 72% of businesses say that improving customer experience is their top priority. McKinsey takes it a step further by saying that the top strategic priority [as determined in their research] is digital engagement of customers, with 69% ranking it in their top 3 priorities. If you think digital transformation and its role in creating a great customer experience is someone else’s job, think again. The truth is digital transformation is everyone’s job and customer experience should be everyone’s concern. A true transition can only succeed if every part of the organization is on board and ready for a wild ride. It is also incorrect to think that digital transformation only needs to happen on the customer-facing side of the business. There are many back-office processes that have a profound impact on customer experience. All parts of the organization have to adapt to support a digitally-enabled customer experience. Gartners says it is ‘key to ensure CX spans the entire organization and is not restricted to the traditional customer-facing sales, marketing and customer service departments‘. Existing job functions need to adapt to effect the changes in the business and achieve the right level of focus on building the desired customer experience. Where customer data and information used to be owned by IT (the enabler), it is now increasingly being owned by Marketing (the user). This kind of transition is forcing a change in priorities for certain C-suite functions. The new Chief Information Officer must provide the right infrastructure and system integration to enable the business to control how they communicate and interact with their customers. The new Chief Operating Officer must transform operational processes and train both front and back-office staff to support the CMO’s strategy for consistent digital engagement with the customer. The new Chief Marketing Officer must be able to consume vast amounts of data, understand the capabilities of multiple, different communication platforms and bring all of this into a strategy that will result in happy, loyal customers and ultimately more sales. Not only does real transformation require the personal transition of high level individuals and the functions they provide, it is also going to add functions to the C-suite that are able to bridge the gap between IT and Marketing. Does your business have a Chief Digital Officer? It should. Digital transformation simply isn’t going to happen in a traditional siloed structure. It requires the appointment of people who are measured on the crucial drivers of success in this transition period. 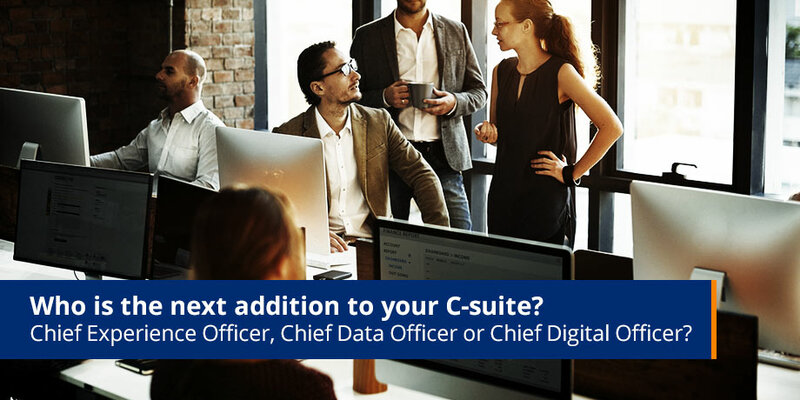 The shape and function of the Executive must change to include new critical roles such as Chief Digital Officer, Chief Data Officer and Chief Experience Officer – roles that need to work alongside the CIO, COO and CMO to plan, control and measure the overall customer experience. The Chief Digital Officer needs to take control over all digital channels, align priorities and create one digital strategy. The Chief Data Officer must remove data silos, integrate disparate systems and make data accessible to the business. The Chief Experience Officer must consider the entire customer journey from the customer’s perspective and seek to create consistency across channels, functions and products. Regardless of what you decide to call the next person you appoint to your C-suite, make sure they have the mandate to build a team that has oversight of all customer touch points regardless of channel (web, app, email, call center) or function (sales, marketing, operations, accounts) or product – ultimately driving successful digital transformation for your business and preserving your place in today’s digital economy. Grant has over 15 years of experience in the IT and telecommunications industry. 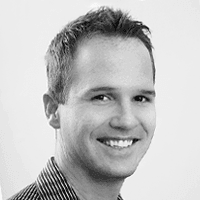 Before joining Striata, Grant worked for one of South Africa's largest mobile network operators. He started as a Project Manager at Striata in 2005. Grant has an in-depth business and technical understanding, having consulted to a variety of blue chip customers on the implementation, return on investment and enhancements of their Striata electronic messaging solution. As Head of Operations, Grant is responsible for a team of resources that cover sales, account management, projects, operations, development and testing. Grant holds a National Diploma in Information Technology as well as a National Diploma in Horticulture (both from Cape Town University of Technology).